In Ubuntu 11.10 it is now possible to change the edge reveal time out using compiz-config-settings-manager Install compiz-config-settings-manager http://bit.ly/software-small. As you can see, the image link is broken. I don't know much about bitly, but it looks like it was posted by marcoceppi. If he's out there, can he change it? Otherwise, all instances need to be changed. Or, if we had a template for apt packages, that would be a good replacement. 2011-10-20 01:55:04 ERROR 404: Not Found. They will always map to the appropriate Software Center icon. Stack Exchange is aware of this and a fix is in the works with no ETA at this time. This appears to be an issue with certain ISPs, while the root cause is unknown, it appears to affect a large part of the community. 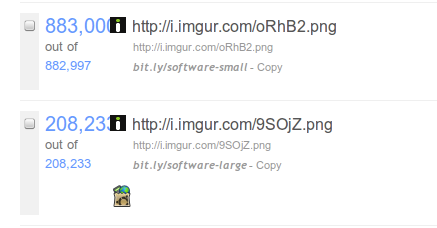 As a result I've updated the bit.ly link to point to a different URL of the same image. The image links isn't broken. Not sure how else to replicate this. The image isn't hosted on the Stack Exchange imgur account - it's hosted in my personal imgur account. Furthermore you can not change a bit.ly URL map once it's been created. So even if it wasn't working I still wouldn't be able to update the shortcut. Rechecked, you can't edit the link.